Please join us for the 11th Annual Henry W. Maier State of Milwaukee Summit. This year’s Milwaukee Summit theme will be Far from the American Dream: Milwaukee’s Fair and Affordable Housing Crisis, in commemoration of the 50th anniversary of the March on Milwaukee. The Milwaukee Summit will include a set of presentations and Q&A discussing current housing issues and reforms from a distinguished panel of community leaders, policy experts, and decision-makers. The event will be held in the UWM Student Union Alumni Fireside Lounge on Thursday, November 16 from 4:30-6 followed by a reception. 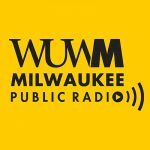 Listen to the interview on WUWM Lake Effect featuring two Milwaukee Summit panelists on the Fair and Affordable Housing Crisis in Milwaukee. This event is free and open to the public and sponsored by: Urban Studies Programs, the Henry W. Maier Fund, the Center for Economic Development, and the College of Letters and Science at UWM.